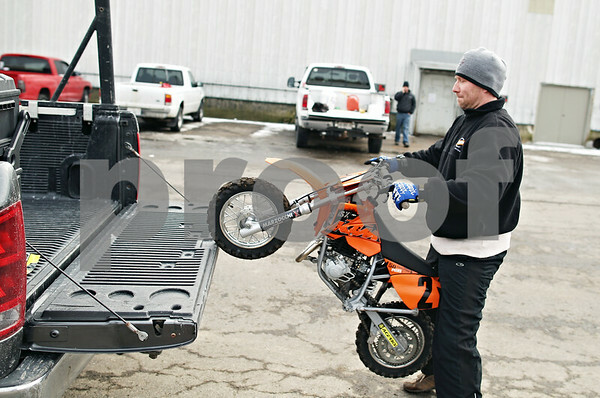 Radko Tomko, of Elgin, lift's his 5 year old son's motor cross motorcycle into the back of his truck after riding at Waterman International Raceway in Waterman, Ill., on Tuesday Feb. 17, 2009. Tomko believes that an exception should be made for motorcross in respect to the new lead laws. "The kids are the future of this sport," Tomko said.